The impossible becomes possible. We are glad to announce that password migration possibilities have been expanded thanks to our new Cart2Cart: Password Migration plugin! Yet another step towards the perfection of your shopping cart migration experience is made. Are you excited? We are! Cart2Cart rolls out a new significant enhancement of its migration functionality, making automated data transfer even more comprehensive. From now on, every merchant can migrate customer passwords from Magento and Prestashop to WooCommerce along with other store data. Moreover, the plugin and customer password migration itself are completely free of charge! No additional costs - forever! 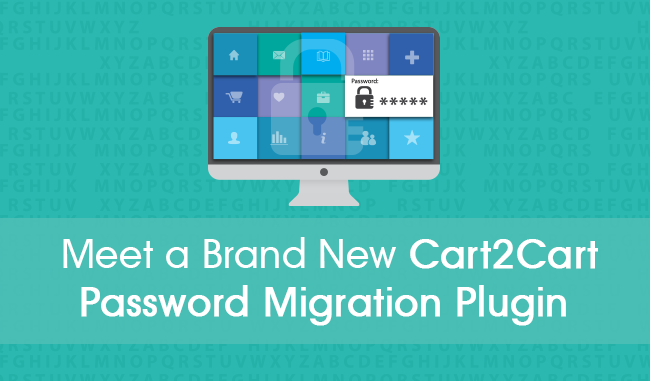 Easy as it is, everything you need to do is to simply install Cart2Cart: Password Migration plugin on your WordPress website before (recommended) or after the migration. As soon as you activate the plugin, users will be able to login to their accounts on Target Cart with Magento or Prestashop credentials. The plugin needs to be activated until all your customers login. Afterwards, it can be disabled or deleted. Though customer passwords migration can be performed within a limited number of platforms, Cart2Cart will continue broadening the range of shopping carts supporting the plugin. Ready to give it a try? Start with free Demo Migration now!